Believe it or not, Boston is becoming one of the hottest housing markets in the country. 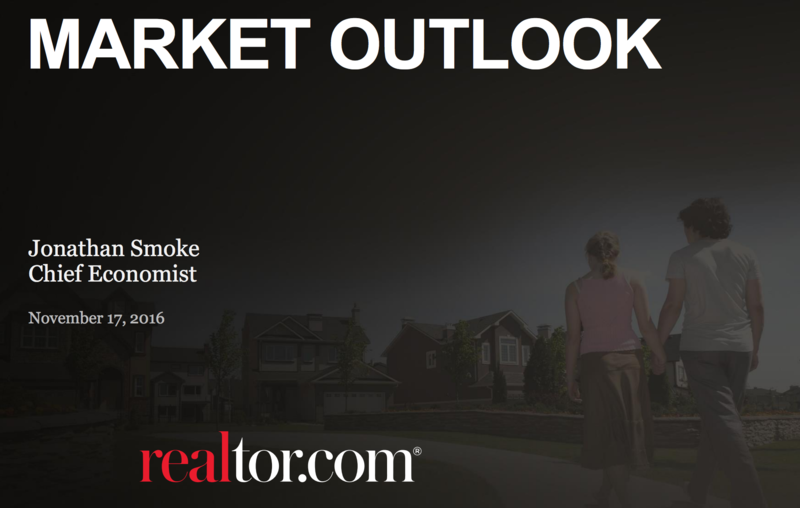 We recently caught up with Jonathan Smoke, chief economist for realtor.com, to cover a wide range of trends happening in our home-grown housing market. Smoke’s data points out why we’re currently on the rise and why Boston is quickly becoming a great location for future homeowners and investors alike. Boston’s developing tech industry has put Beantown on the map over the past decade. The city continues to foster dozens of tech-based start-ups to the point where it’s attracting major players. According to TechCrunch, the recent arrival of General Electric to the Boston Seaport district confirms that our growing tech sector has caught national attention and is becoming a great source for revenue and new employment opportunities. It’s thanks to these jobs that we’re currently experiencing a record decrease in unemployment which, with the relocation of other major tech players, should continue to translate into a market full of new homebuyers with steady sources of income. Needless to say, the buyers are coming! 2. First Time Buyers are Re-Emerging. A new wave of young and prospective buyers are searching around the Greater Boston area. Recent graduates are emerging from their Boston-based schools to find a thriving job market with high paying jobs and a city that’s excelling in the national economy. It’s this return to buying that we’re really excited about because it’s a sign we’re headed back to the way our market was in the early 2000’s. Likewise, this shows that buyers are more confident in investing in long-term living situations. 3. Mortgage Rates are Helping Buyers. While interest rates are increasing slightly the FICO scores needed to secure a reasonable mortgage are decreasing making the preferred loans more accessible to the first time home buyer. Buyers are able to find more assistance in seeking out the right property and, as a result, are able to find a greater variety in the choice they make. Interest rates are still near record lows and the affordability index shows we are well below (meaning affordable) the historic average. Relating this to Boston’s market, the influx of buyers and residents we’re experiencing is being met with just the right resources to keep our listings flowing. 4. Inventory is Moving Fast. It’s this high demand and quick assistance that’s battling the low inventory in Boston. Listings are being swept off the market at record times with Smoke placing the average for Single Family Homes and Condominiums at an average of 34 days on the market for Suffolk County. A high demand shows that now is a great time to sell or consider selling as the need for your space is definitely out there. In fact, many of those who are selling are making tremendous returns on their original investment due to the rise in median sales price. You can see our data on these changes here. The next generation of homebuyers will be the millennials entering the workforce, graduating college, or entering the prime age for buying up property. Knowing this, and knowing that Boston is on the up and up with opportunities to keep this generation busy and employed, we’re going to see a huge wave of prospective buyers entering the market over the next few years. It’s this budding pool of buyers, the demand we mentioned earlier, and the state of Boston’s economy that point toward a stable and enticing market for owners and investors. Now, more than ever, is the time to sell or invest in Boston’s hot real estate. Think about it: The city’s industries are expanding, the market is booming, and there are jobs aplenty. Beantown is becoming the perfect place for those looking to make a great investment. Even more than that, the area continues to thrive because of its New England charm, its stellar history, and its fantastic sports teams. As far as we’re concerned, living in Boston is a no brainer! Looking to make Boston your home? Call 617-670-1111 or email us at info@blpre.com!